As someone who has stuck his neck out for the imminent reality of anthropogenic global warming (AGW) in both his real and online life, it would be fitting for me to comment on the Climatic Research Unit e-mail hacking incident (and as per usual, what was originally meant as a “comment” has blossomed into a long post). Anyhow, at least to me, the Climategate sage illustrates three things. Part of the “hockey stick” hypothesis – that pre-20th century global temperatures were essentially horizontal – is seriously challenged, perhaps sunk. However, contrary to denier rhetoric, the emails do not discredit AGW theory itself, nor do they lessen the magnitude of our current predicament, nor do they contain any hint of an overarching global conspiracy to enslave us under a green socialist NWO. Some academics form mafia-like cliques to promote themselves. Having many relatives and acquaintances who work in academia and have, at times, suffered from these cliques, these “revelations” are nothing new to me. Science stopped being purely about science ever since it evolved beyond the preserve of moneyed men with time to kill. It sheds far less light on the theory of AGW per se, than on some unsavory researchers and the AGW deniers (or “climate skeptics”) themselves. In particular, the ferocity with which the latter have latched on to the stolen emails as “proof” that AGW is a giant scam only testifies to their own paranoid desperation, but one that is disturbingly successful at swaying the public opinion. To the casual observer, this is further evidence for the intractability of our Limits to Growth dilemma; even “social capital”, i.e. the public’s tolerance for necessary but painful decisions, is growing short. Read my Top 10 AGW Denial Myths again. How often was the hockey stick graph mentioned? Just once – and furthermore, as half an answer. Based on this rough, but nonetheless fairly typical, example of pro-AGW arguments, the work of Mann at al was thus only responsible for, at best, 2.5% of the entire theory (remember that the late 20th-century temperature spike is still undisputed, it’s their suppression of the Medieval Warm Period that is discredited). There’s more on the matter from Real Climate here and here which gives a needed wider perspective, or see George Monbiot’s The Knights Carbonic for an easier and funnier read. Like in any bureaucracy where people compete for higher status and salary, there will form cliques dedicated to furthering the causes of their members. As bitter and vindictive scientific disputes throughout history prove, academia is far from the idyllic ivory tower paradise of popular imagination. I agree that the conduct of the researchers in question here is quite reprehensible, and sullies the reputation of the entire climate science community in the public eye. To show I’m honest, here’s a link to a skeptic (yes, a real skeptic, not a denier) sent me by a reader – Climategate and Scientific Conduct. That said, academia remains a vital pillar of industrial civilization. It is a major driver of technological growth (which is at the root of almost all the secular increase in global carrying capacity) – and the institution which, because of its relative independence compared to most think-tanks, government agencies, or corporations, can provide the most effective “scanning” for possible solutions to our overshooting of the Earth’s carrying capacity. The latter category, encompassing private think tanks and academia, have a greater degree of freedom in asking questions. However, it is ultimately the state that pays academics their salaries. Biting the hand that feeds is always dangerous, especially if their fangs contain the poison of the forbidden question. Anathema unto them. Therefore, academia’s answers also tend to conform to the reigning paradigm – or even reinforce it further with elaborate universal theories such as Francis Fukuyama’s “end of history” eschatology, which alleges that Western liberal democracy is the final phase of mankind’s ideological evolution. Academia are an essentially conservative body. The IPCC relies on consensus and generally excludes the most controversial and “pessimistic” research from its reports, of which there are more and more of, mostly focusing on the positive feedback loops that could “tip” the world over into a runaway global warming of 5C+, a degree of warming (no pun intended) that will make widening swathes of the Earth simply physically uninhabitable and will almost certainly spell the end for industrial civilization. World unity – to prevent the climate and resource wars which will otherwise become inevitable, and to prevent nations from free-riding on others’ sacrifices. Social leveling – forcefully stymieing growth under capitalism amounts to an extremely regressive tax, which the people won’t stand for – at least in liberal democracies*. Bigger state – to promote anti-industrial values in favor of older, communal values; to enforce social leveling / economic coercion; and to co-opt or destroy alternate sources of political power (be they multi-national corporations, terrorists, religious leaders, etc) that could challenge the worldwide green agenda. And yes, I realize that this all sounds pretty creepy and Orwellian. This is one respect in which the deniers really do have a point, so if they suspect that the “elites” have this objective in mind, no wonder they are so fervent in opposing AGW theory with such a blatant disregard for logic and facts. But what the deniers haven’t noticed that no-one in government or even mainstream journalism is calling for the above measures, which I by now believe are the only way to possibly avert catastrophe a few decades down the road. Some policy-makers may well be aware of humanity’s predicament, but are simply too imprisoned by public opinion to ever dare voice it out aloud. * Pursuing carbon emissions reduction mechanisms under the capitalist-industrial System, as currently proposed, is not going to work at any level. In particular, the idea of doing carbon rationing by introducing a virtual parallel currency inter-changeable with real money is unrealizable – it is extremely regressive, and unlikely to pass in democracies (and if does will breed social instability – if you make the cost of carbon high enough to have any substantial impact). Furthermore, nation-states are not going to risk implementing such drastic measures within their borders unless most other states are doing it – otherwise, it would be too hard to convince their electorates that the effort, which is in the end futile (due to non-compliance and free-riding), is worth it. Note that cooperation in a multi-player game like this is exceedingly hard, and no state will want to be the first to take the plunge. These psychological factors spell doom for any attempt at national cap-and-trade or international contraction-and-convergence. Perhaps at a subconscious level people really do realize our predicament, and after all, denial is the first phase of recovery (though in all fairness, some have moved on to bargaining – “geoengineering, markets, technology, aliens!”, while others have even advanced onto the depressive state – “it’s so bad it’s too late to do anything anyway”). But mostly, it’s still anger and denial. Around 59% of Britons, to be precise, to whom populist blowhards like James Delingpole cater to (together with the stunningly ignorant and Russophobic Tim Collard; I think Ambrose Evans-Pritchard is the Telegraph‘s only good columnist). Speaking of Russia, Russia Today has latched onto this story, seeing a good market for those Anglo-Saxons frustrated with their “globalist”, “NWOish” media (in some ways, a funny fit, though on second thought quite logical). Furthermore, it’s also well known that Russia is one of the few countries, along with Canada, to benefit from global warming, as I pointed out in Towards a New Russian Century? So perhaps the Kremlin has given signals to its media to downplay AGW? To be honest, I doubt it – frankly, I doubt the Russian government’s strategic vision is that good. But it’s food for thought. Below is an interview with a frothing Alex Jones. Anyhow, why am I showcasing this denier propaganda? To illustrate how individuals acting for their own individual, corporate, or national gain, are free to pander to the fears and sensibilities of electorates to forestall the necessary changes and to tar those pushing for them, even just by association (as pointed out, the damage to the public’s perception of the pro-AGW will be far out of proportion to the actual damage on its internal consistency / validity, which is pretty minimal). This is not an indictment of democracy, except perhaps by implication; just an observation. 5. Climategate: A Turning Point in the Malthusian Loop? Furthermore, this illustrates another facet of our Limits to Growth predicament. At least in their modeling, the authors stuck to quantitative aspects such as the resource base, the production base, the agricultural base, pollution, services, etc. One of the major things they neglect, however, is the socio-political side of things – the “social capital” that sustains political legitimacy, especially important for liberal democracies that only have limited coercive tools at their disposal. Real living standards have grown slowly, for some income groups even stagnated, since the 1970’s. Some attribute this to the pernicious influence of neoliberalism; I see it as one of the earliest expressions of approaching limits, of which the 2008 economic crisis is part and parcel (global energy production stopped growing exponentially from the 1970’s). At this point of the “Malthusian Loop” (see my article The Belief Matrix), the hoi polloi are becoming disillusioned, even restless. Before the industrial era, all societies were subject to Malthusian dynamics in which population growth saturated the carrying capacity of the land and leveled off at an unstable plateau. The period of high growth was typically regarded as a Golden Age of bucolic virtue (e.g. republican Rome), which I’ve labeled The Rise of Empire. Because of limits to growth, this could not last. Subsistence stress resulted in the growth of cities and large standing armies to soak up the landless poor, and literate bureaucrats to manage the new problems. Paradoxically, even as problems loomed on the horizons many aspects of culture like literacy, inventiveness, etc, flourished. This is because society encouraged its thinkers to “scan” for solutions to these problems. [Society moves towards down on the Belief Matrix, towards “Rationalism” / “The Idea of the West”]. At this point, decomposition rapidly becomes inevitable as “scanning” ceases, for the system no longer has the surpluses to do it. In most cases rigid behavioral controls are imposed, innovation and positive change is stymied and corruption, authoritarianism and feudalism begin to dominate … for society is enslaved to its own myths of superiority and delusions of grandeur. … Censuses and historical detail thin, as literacy and science declined during this period to be replaced by an “increase in mysticism, and knowledge by revelation”, as well as by “increased propaganda about patriotism, ancient Roman values, and superiority over the barbarians”. … According to RM Adams, “By the fifth century, men were ready to abandon civilization itself in order to escape the fearful load of taxes”. In 476, after being denied payment or settlement in Italy, the Roman barbarian army mutinied, sacked Rome and deposed Romulus Augustus, the last Western Emperor. In other words, society begins by rejecting the “Idea of the West” (in Roman times, proxied by “rule of law” and Greek scientific-rationalism), and the state intensifies efforts to both legitimize itself and coerce people into believing in it. But nonetheless, a breaking point is eventually reached and society loses faith in the state (hitherto, tradition), culminating in the collapse of civilization, a prolonged period of anarchy and reversion to older forms of social existence focused on family, clan and community (denoted as The Collapse of Civilization). Mark Lynas bewails the war on science in Leaked emails mark dangerous shift in climate denial strategy. And the strategy is simple. Given that scientists are one of society’s most trusted groups (unlike journalists or politicians), the climate denial movement has begun a battle to undermine public trust in climate scientists themselves. No more will the legions of anonymous researchers who collect and interpret data from meteorological stations, satellites and ice cores be considered above the fray – they now run the risk of personal attacks, exposure of their private lives and vilification. It is important to understand the significance of this. Scientists are not politicians. They are not used to communicating publicly. They trust in their objectivity, the objectivity of their peers, and the rigour of only citing work published in learned journals. They will have private views, but are very used to keeping these out of their work – indeed the entire scientific method is based on conducting research which can be replicated by peers in order to check its accuracy and objectivity. Like the 9/11 conspiracy theories before it, the global warming conspiracy is palpably absurd. The idea that scientists have teamed up with governments and the United Nations to foist some kind of social control project on an unwary public is laughable – it would need conspiratorial activities involving thousands of people, for a start..
None of this would matter if the public weren’t fooled. But they are. Polls show climate “scepticism” is rising, perhaps even to a majority position, on both sides of the Atlantic. Presumably public trust in climate change scientists is falling commensurately. This will in turn undermine consensus in mitigating climate change – which is of course the very intention of the deniers in the first place. I expect an intensification of the war on science in the decades ahead. Climategate proves just how shallow “social capital” really is. Is there an economic crisis? Too bad, let’s stimulate the economy with even more debt-driven spending and forget those pesky greens (too bad we’ll see more and more peak oil-driven economic crises in the future, the next one probably in 2011-12). Is there at least one group of ethically-challenged climate researchers? Too bad, let’s dismiss all of them. With attitudes like this, it is impossible to surmount our Limits to Growth predicament. The strongmen who will replace internationalist liberal democracy before the final demise of industrial civilization will have little interest in people even asking the wrong questions, let alone venturing the correct answers. Those that don’t toe the party line, be they high priests or peasant grunts, will be strung up, the old order purged and overthrown. “Scanning” will end. The show may be fun to watch, though increasingly dangerous. We have to start accentuating the positive, rather than constantly invoking apocalypse. Getting off fossil fuels is a necessity, but that does not mean that people’s lives must be made harder or more austere. Forget all the “war economy” analogies, locally grown jam and appeals to save old clothes. Our message needs to be a forward-looking one of hope, prosperity and technological progress. Unfortunately, I am almost 100% certain this will not work. The AGW movement thrives on (justified) alarmism. Forsaking this, especially at this late stage of the game, will only serve to relegate the issues to the backburner (until it burns us all). If it hadn’t been for their depictions of fiery Hell, the high priests of any civilization wouldn’t have been anywhere near as effective at preventing sin, or legitimizing the state that made both sins and high priests possible. (In a collapsed anarchy, there is neither). Revolutions aren’t made by sissies, not when the people themselves are against the revolutionaries anyway. We must press on and attack, undermine the capitalist-industrial System in every way possible. (Necessary disclaimer: legally, of course). The time for waiting, for pointless Earth Days and meaningless street solicitations for Greenpeace, or for green Gramscian subversion to show results, is past. The hour is late. Green socialism must be pursued with Bolshevik fervor. 13 Comments to "The Deeper Meaning of Climategate"
I don’t get how an attack on capitalist-industrial system that gave us the computers we write our articles on, the central heating and/or air-conditioners that keeps us warm or cool while we are at it, the cars, planes and trains that help us commute to work so that we have something to eat when we beat the keyboard, when pursued with a Bolshevik fervor, cannot easily slip from the confines of legality and devolve into a revolutionary terror. That said, feel free to offer your own solution. (Actually, since you're a skeptic, perhaps we should avoid conflict and just read each other's writings on Russia, East-Central Europe, and British politics). I don't get how an attack on capitalist-industrial system that gave us the computers we write our articles on, the central heating and/or air-conditioners that keeps us warm or cool while we are at it, the cars, planes and trains that help us commute to work so that we have something to eat when we beat the keyboard, when pursued with a Bolshevik fervor, cannot easily slip from the confines of legality and devolve into a revolutionary terror. That said, feel free to offer your own solution. (Actually, since you’re a skeptic, perhaps we should avoid conflict and just read each other’s writings on Russia, East-Central Europe, and British politics). I am in process of writing my own article on CC. I am a skeptic (on many different levels of the issue) but not a denier yet. This conversation is at My feelings about 'Climate Change'. Liked the ‘what is to be done’? Anyway, I hope you continue to write in this vein and not get discouraged by those who get angry at departures from (neo, classical and paleo) liberalism. I don’t think “Climategate” has completely detroyed the rationale for doing more to address Global Warming. However, it does raise troubling questions regarding the scientific consensus surrounding the “anthropogenic” aspect. I think one very intelligent thing America could do is go nuclear quickly. While this raises its own set of serious issues, it does move us towards reducing C02 emissions. That has to be a step in the right direction. The bottom line is this- no one wants to screw up their economy and fundamentally change our entire lifestyle without being 100% sure that the problem is so dangerous that it requires draconian solutions. “Climategate” does undermine that certainty. While we should not act like ostriches with our head in the sand and should take proactive emission reduction efforts, again nuclear can be a big one that still keeps our electrical grid reasonably intact, (as opposed to a lackadaisical business as usual approach), it seems to me that radical changes are not viable nor necessarily appropriate at the moment. I am quite sure you will disagree and you have laid out an interesting case. However, I am not willing to walk all the way down that road until scientific ambiguity is closer to being eradicated than it seems currently be. My "interesting case" is pretty simple. 1. The current atmosphere CO2 concentration (384ppm) correlates to the Pliocene 3mn years ago, when temperatures were 3C higher and the sea level was 25m higher. [No "hockey stick", no models even, involved; just paleoclimate]. 2. This degree of warming is now inevitable; if all emissions were to stop today, as a rule of thumb, it would take around 30 years for half of that projected warming to occur as the Earth system moves towards the new equilibrium. [Consequences of heat diffusion / laws of thermodynamics]. 3. Emissions aren't stopping, but accelerating, and this will continue with the industrialization of China and India. [Economic growth as linchpin of the System]. 4. Global dimming, which had hitherto partially shielded us from the rising temperatures, will start playing a much lesser role. The effects of CO2 are cumulative, soot and SO2 particulates are washed out of the atmosphere within months. 5. Beyond 2C of warming, the Earth will reach tipping points in which GW becomes self-sustaining. Such tipping points include the melting of the Arctic (reduces albedo), release of Siberian methane from melting permafrost, forests around the world turning from carbon sinks to carbon sources due to accelerated decomposition, the possible death of the Amazon rainforest, etc. 6. Though geoengineering may work, as you point out, there are also many arguments against it. It will probably be tried in the end, but only as a last-ditch throw of the dice that cannot be guaranteed to succeed. 7. Furthermore, innate human psychological features such as conservatism, denial, hedonism, and susceptibility to creeping normalcy and "landscape amnesia", as well as the anarchic nature of the international system, means that the chances of any effective global action being taken in time is near zero. I don't think "Climategate" has completely detroyed the rationale for doing more to address Global Warming. However, it does raise troubling questions regarding the scientific consensus surrounding the "anthropogenic" aspect. The bottom line is this- no one wants to screw up their economy and fundamentally change our entire lifestyle without being 100% sure that the problem is so dangerous that it requires draconian solutions. "Climategate" does undermine that certainty. My “interesting case” is pretty simple. 1. The current atmosphere CO2 concentration (384ppm) correlates to the Pliocene 3mn years ago, when temperatures were 3C higher and the sea level was 25m higher. 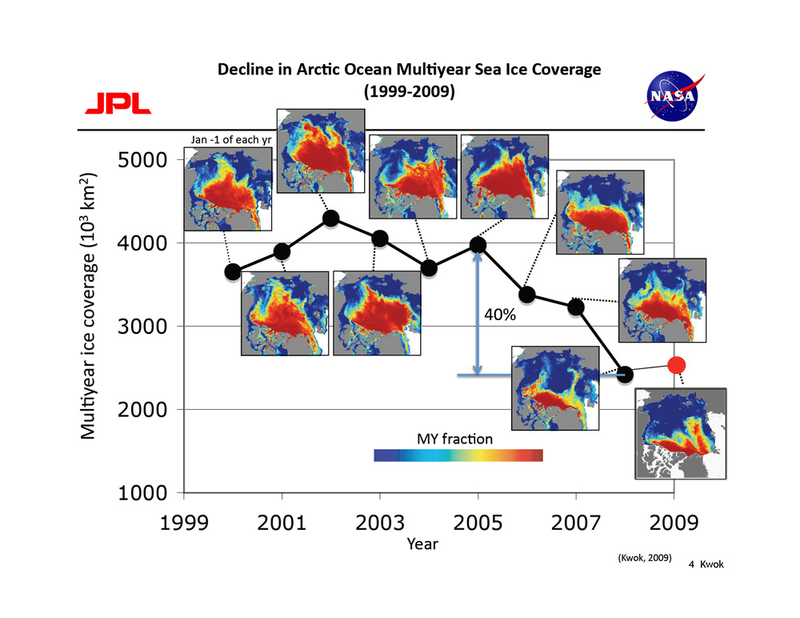 [No “hockey stick”, no models even, involved; just paleoclimate]. 3. Emissions aren’t stopping, but accelerating, and this will continue with the industrialization of China and India. [Economic growth as linchpin of the System]. 7. Furthermore, innate human psychological features such as conservatism, denial, hedonism, and susceptibility to creeping normalcy and “landscape amnesia”, as well as the anarchic nature of the international system, means that the chances of any effective global action being taken in time is near zero. “Climategate” is all noise, signifying not very much. The weight of evidence is firmly on the side of AGW. That said, any “cap and trade” system will simply be gamed and have little effect on emissions or land (ab)use patterns. There has never been, nor will there ever be, the social capital to do anything truly useful with respect to climate change, as it requires self-limitation on a species scale. Living organisms do not self-limit. Some may appear to do so, but the ultimate cause(s) of limitation are physical / resource / environmental constraints. As a species we have the intelligence of yeast, and that is probably being unkind to yeast. 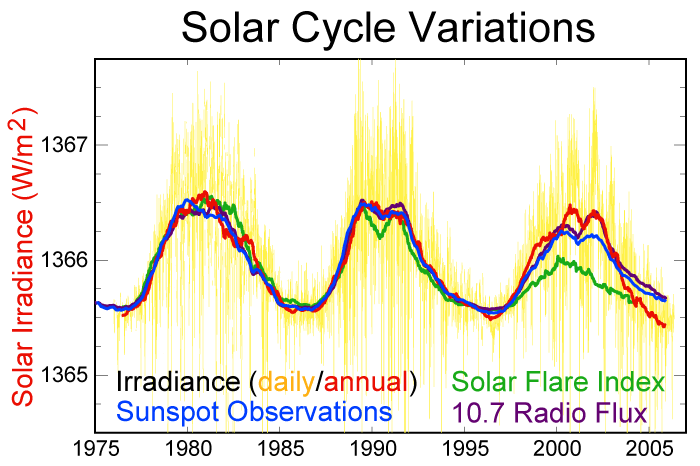 The big canary in my view (for what it’s worth) is planetary ice mass and coverage, and the downward trend there is unambiguous. However, the changes we are seeing now are still ‘small beer’, and still well within what could be called the “interglacial climatic state”. Over the Pleistiocene, there have been two states: the interglacial (a small minority of the time) and the glacial (vast majority). Ice cores (year by year resolution to at least 100kyr in Greenland and 200kyr in Antarctica) have shown that climate has ‘lurched’ between the two states within a matter of a few years or even from one year to the next. The suspected culprits are thermo-haline shutdown (or at least major attenuation, due to North Atlantic freshwater events) and subsequent ice-albedo feedbacks. Atmospheric CO2 levels drop quickly due to increased solubilty in colder water. The converse applies with warmings. The mechanisms (not the paleo-historical reality, which is not in doubt) of sudden climatic change are still a matter of contention, however. My personal wild-assed speculation is that negative feedbacks generally dominate to keep things within a particular state until forcings (by Milancovich cycles, or latterly, CO2 increase and associated positive water vapour feedback, or changes in cosmic radiation if you subscribe the theories in the “chilling stars”, or whatever) of certain parameters (what ever they may be, or combinations of such) cross critical thresholds. When these Rubicons are crossed, climate change is big and fast (several degrees Kelvin within a few years to a decade) to a new state (to a super-interglacial? back to glacial?). The corollary of this is that it is possible that the planetary system might endure all kinds of insults for quite some time without radical change. “Problem? what problem?” we’ll all cry, just prior to being nailed. On another note, I’ve lurked this site for the best part of a year and have come to the conclusion that you have more than a few clues. We might do worse as a nation than to send some SAS troops over, abduct you to NZ, train you up in political skullduggery and get you to run for PM. The political establishment here (over the whole spectrum, apart from some of the greens) gives no indication that they have any idea of what’s coming down the energy / climate / geopolitical pipeline. Thanks for the thought and effort you put into this site. It has, along with the comments, expanded my worldview. I’ll be buying the book, if that’s possible from NZ, when it comes out. This conversation is at My feelings about ‘Climate Change’. Your points 2-3 suggest it’s already more or less too late to do much except prepare for the consequences of major climate events. Especially with 3, the man-made AGW skeptics are in full agreement with you that the Indians and Chinese really don’t take Copenhagen seriously but are quite happy to swap more “little pieces of paper” to humor the West. In fact, to bring it back to Russia, I saw that carbon credits is one of Ukraine’s most spectacularly growing industries, since it can claim credit for Soviet factories that have been shut down since 1991 and now ghost towns around said factories. This from an AGW agnostic. But count me as a firm believer that Russia has warmed substantially since the first half of the 20th century. It’s just that Illinois had its coldest spring on record since the 1930s. All of this being regional/anecdotal, but still, there seem to be some offsets. None of which directly contradict AGW theory, or your ideas about Russia being a beneficiary of climate change in other places. In particular, so long as China doesn’t make a bid for Siberian waters for reasons you’ve previously outlined, they’ll have to make up for the pollution of their own domestic water table by importing more food from a warming Russia. Again, I don’t think the major tipping point against AGW/Copenhagen consensus was Climategate. Climategate is merely the fallout from the global financial crisis, and guerilla push back against the financiers piling on the AGW bandwagon to sell useless carbon trading credits/medieval indulgences for the Church of Environmentalism to each other. I agree with you that it's 90% likely we are too late (and furthermore, I would only give a 50% that industrial society will successfully adapt / solve it through geoengineering). I am rapidly becoming a "doomer" on this issue. Climategate is, to clarify, (and IMO), and excellent demonstration of the manifold social barriers to thinking and acting pre-emptively. E.g. denial, or the "it's too late anyway" attitude, or conspiracy theorizing*. This leads me to the belief we won't do squat until the roof catches fire, not even minimal attempts at mitigation / preparation, as you suggest. In other words, more evidence for the validity of the "doomer" philosophy. To the other commenters, the shale gas boom in the U.S. seems to offer some bridge to nuclear, even if the wind and solar only look cheap if the base load of gas stays cheap and flexible. But if coal is really as bad as they say (and undeniably gas burns better and produces fewer mining deaths plus air quality problems with soot/metals) than how can gas prices be kept down forever? The “raving loon” (not Alex Jones, the British weatherman) seen in the RT video in the post does have one very effective talking point: that AGW is just a scheme by elitists to pull up the ladder behind the West and keep developing nations from getting rich the same way the West did, with fossil fuels. This may not be a theory that appeals to Anatoly or most Westerners, but it is likely to have strong resonance in India and China and perhaps even Africa when they start building Russian or Chinese designed gas fired plants for growth. The developing nations really are screwed in many ways. Stabilizing their emissions independently of radical commitments on the part of developed nations, is neither politically feasible, nor even useful from a practical perspective (since the world is doomed anyway, they might as well build up the industrial capacity to have some chance in the coming resource and water wars). In a game as costly and with as many participants as drastically cutting CO2 emissions, there will be no takers. Re-"how can gas prices be kept down forever?" They can't. Ultimately, it too is a limited hydrocarbon resource, just like oil. Solar is too little-developed, wind is only effective now because it is "subsidized" by the legacy of cheap oil, and neither can provide a reliable base load. I agree with you and T. Greer (and even many *intelligent* environmentalists, for that matter) that nuclear must be the future. Your points 2-3 suggest it's already more or less too late to do much except prepare for the consequences of major climate events. Especially with 3, the man-made AGW skeptics are in full agreement with you that the Indians and Chinese really don't take Copenhagen seriously but are quite happy to swap more "little pieces of paper" to humor the West. In fact, to bring it back to Russia, I saw that carbon credits is one of Ukraine's most spectacularly growing industries, since it can claim credit for Soviet factories that have been shut down since 1991 and now ghost towns around said factories. This from an AGW agnostic. But count me as a firm believer that Russia has warmed substantially since the first half of the 20th century. It's just that Illinois had its coldest spring on record since the 1930s. All of this being regional/anecdotal, but still, there seem to be some offsets. None of which directly contradict AGW theory, or your ideas about Russia being a beneficiary of climate change in other places. In particular, so long as China doesn't make a bid for Siberian waters for reasons you've previously outlined, they'll have to make up for the pollution of their own domestic water table by importing more food from a warming Russia. Again, I don't think the major tipping point against AGW/Copenhagen consensus was Climategate. Climategate is merely the fallout from the global financial crisis, and guerilla push back against the financiers piling on the AGW bandwagon to sell useless carbon trading credits/medieval indulgences for the Church of Environmentalism to each other. I agree with you that it’s 90% likely we are too late (and furthermore, I would only give a 50% that industrial society will successfully adapt / solve it through geoengineering). I am rapidly becoming a “doomer” on this issue. Climategate is, to clarify, (and IMO), and excellent demonstration of the manifold social barriers to thinking and acting pre-emptively. E.g. denial, or the “it’s too late anyway” attitude, or conspiracy theorizing*. This leads me to the belief we won’t do squat until the roof catches fire, not even minimal attempts at mitigation / preparation, as you suggest. In other words, more evidence for the validity of the “doomer” philosophy. The "raving loon" (not Alex Jones, the British weatherman) seen in the RT video in the post does have one very effective talking point: that AGW is just a scheme by elitists to pull up the ladder behind the West and keep developing nations from getting rich the same way the West did, with fossil fuels. This may not be a theory that appeals to Anatoly or most Westerners, but it is likely to have strong resonance in India and China and perhaps even Africa when they start building Russian or Chinese designed gas fired plants for growth. Re-“how can gas prices be kept down forever?” They can’t. Ultimately, it too is a limited hydrocarbon resource, just like oil. Solar is too little-developed, wind is only effective now because it is “subsidized” by the legacy of cheap oil, and neither can provide a reliable base load. I agree with you and T. Greer (and even many *intelligent* environmentalists, for that matter) that nuclear must be the future. Were Russian security services behind the leak of ‘Climategate’ emails? That said, given the “hotness” of the material hackers of competence would have sought to upload the stolen e-mails to a remote server so that they could escape identification. Though then again, as Charles and I noted, Russia has reason to be interested in derailing the AGW bandwagon, so the FSB theory ought not be omitted as a possibility.